Burns & Tinney is a long established legal firm in Greensborough, Melbourne, providing friendly, professional and accessible legal services at affordable rates. Paul Burns and Charles Tinney started the firm ‘Burns & Tinney’ in Greensborough in 1993. In October 2000 Paul Burns moved to another firm, and Charles Tinney changed the name to Charles Tinney & Associates. In May 2015 Paul Burns returned, and the firm is once again called Burns & Tinney. We assist companies, small-medium enterprises, family business, start-ups, property developers, religious groups, Not for Profit organisations, and individuals. As a small practice, are flexible and responsive to your needs and we will keep you informed at all times. 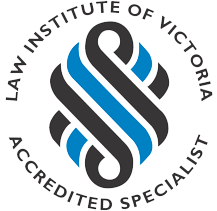 Our accredited property law specialist, Paul Burns has been recognised by the Law Institute of Victoria as having a high level of skill, superior knowledge, experience and proficiency in Property Law. Unlike traditional law firms, we are not constrained by billable hour targets. We provide results in a cost effective and personal manner. Contact us to arrange a consultation with an experienced lawyer in Greensborough. Burns & Tinney is a long established legal firm in Greensborough, Melbourne, providing friendly, professional and accessible legal services at affordable rates. We provide clear and trusted legal advice. Paul Burns and Charles Tinney each have more than 25 years experience as property, business and estate planning lawyers. We provide cost effective, prompt legal advice and solutions.